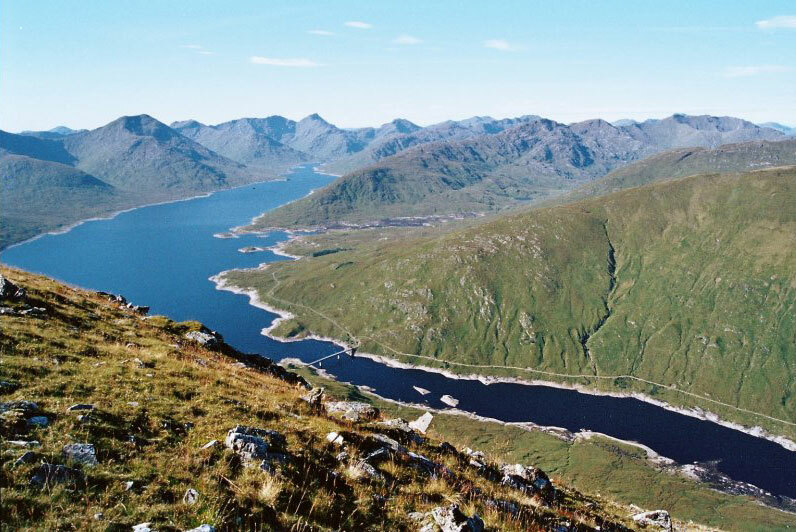 Gleouraich and Spidean Miallach are craggy neighbours on the N side of Loch Quoich where they form large grassy corries to their S slopes. However to the N their character is very different with high craggy corries. The S slopes are more accessible, particularly as stalkers paths run high on their slopes and in the case of Gleouraich to its summit. 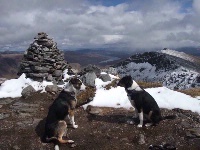 From Gleouraich a ridge runs SW then SSW to Sron a Chuilinn. 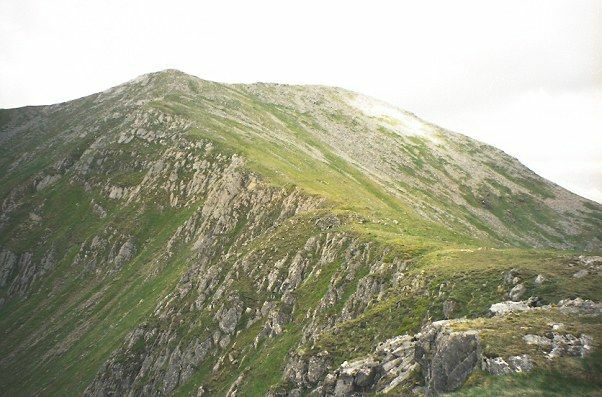 A path leads from the road up this ridge to the summit. It is an excellent route. 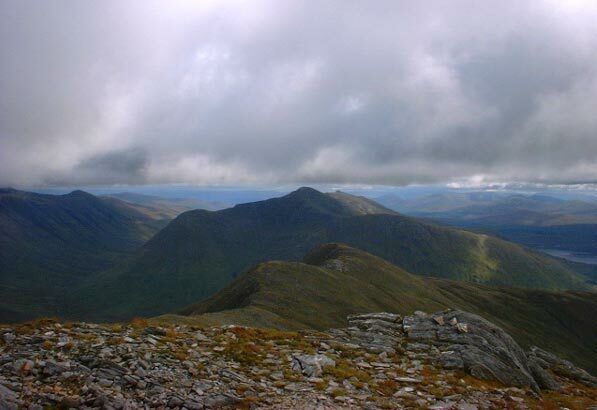 To the E of Gleouraich a 2.5km ridge follows the rims of successive northern corries to Spidean Mialach. Finally, to the NW a prominent ridge leads to Sron na Breun Leitir which is ascended by a path from Alltbiethe, but an ascent from here would be difficult. Looking east-north-east up the ridge from Sron a' Chuilinn to Gleouraich. 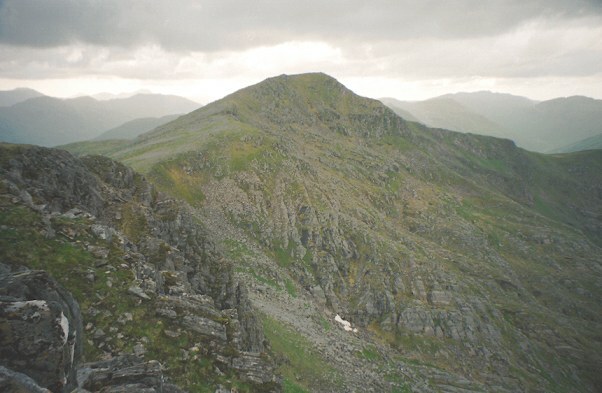 Gleouraich seen from Creag Coire na Fiar Bhealaich. The summary information of one or more ascent routes that include Gleouraich. 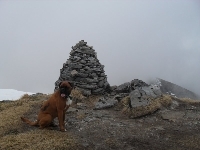 Me on Gleouraich on a misty day- our first Munro! Post a few words about Gleouraich or read what others have had to say.